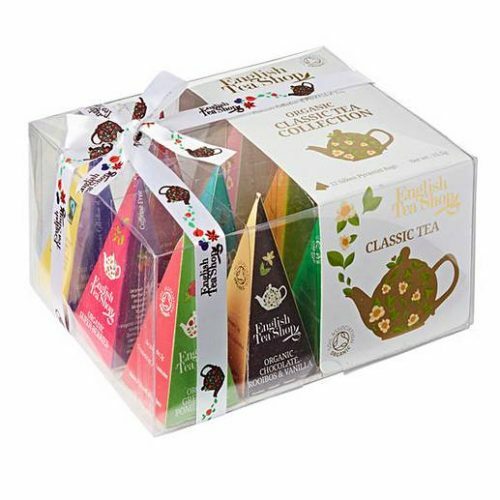 A collection of 12 Sri Lankan Teas in silken pyramid tea bags in a clear gift box. Produced by ETS from selected organic and fairtrade farmers in Sri Lanka, the home of the finest Ceylon tea. 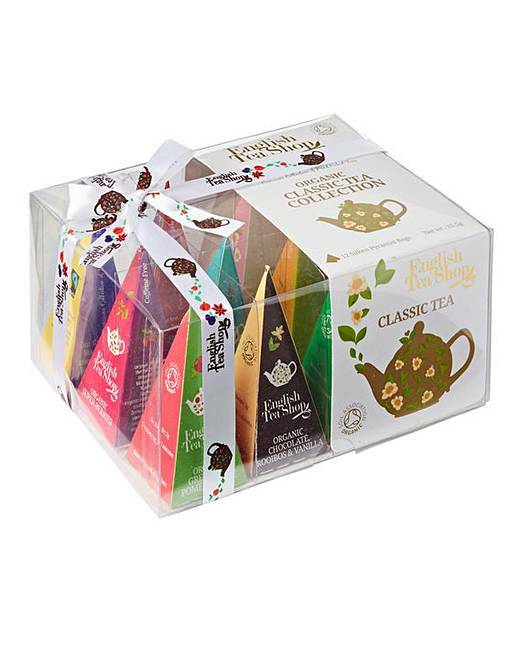 They will never fail to surprise with their wonderful range of flavours, from classic English Breakfast and elegantly perfumed Earl Grey to the exciting tisanes. The art of tea farming at these small plantations cannot be missed. Much of its credit goes to the amazing farmers who painstakingly struggle with the soil to get the maximum produce without the use of chemical fertilisers. They also fight the problems of erosion and waste management while ensuring the sustainability of the planet.